With two freestanding locations in Paris and an outlet at Galleries Lafayette, Alain Ducasse has become one of the city’s foremost chocolatiers in a spin-off series of boutiques that play into his acclaimed empire of gourmet eateries from the Plaza Athenee to Las Vegas and Tokyo. Offering a working factory in the 11th as well as a signature emporium, look for a trove of edible gifts and boxed collections worthy of the splurge. For those that can’t make the sugary trip, an online store offers shipping worldwide. 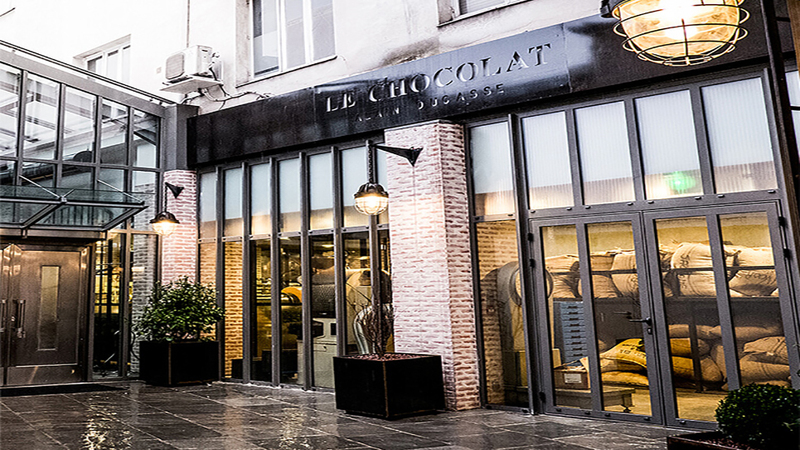 Acclaimed 3-star Michelin chef does series of chocolate boutiques in Paris.